– “Like” JEWELIQ & her waise choice on Facebook. – Leave a comment here letting me know that you did, along with an email address to contact you if you win. Contest is open to residents of USA and Canada, and runs until one week from today (Monday, Sept 17) at 11:59pm PST. I liked Jeweliq and you on Facebook!! I just discovered this site yesterday and I’m in looooove! I ” liked” both Jewliq and you on FB. Love your blog! liked both you and jweliq on facebook! I liked both on Facebook! 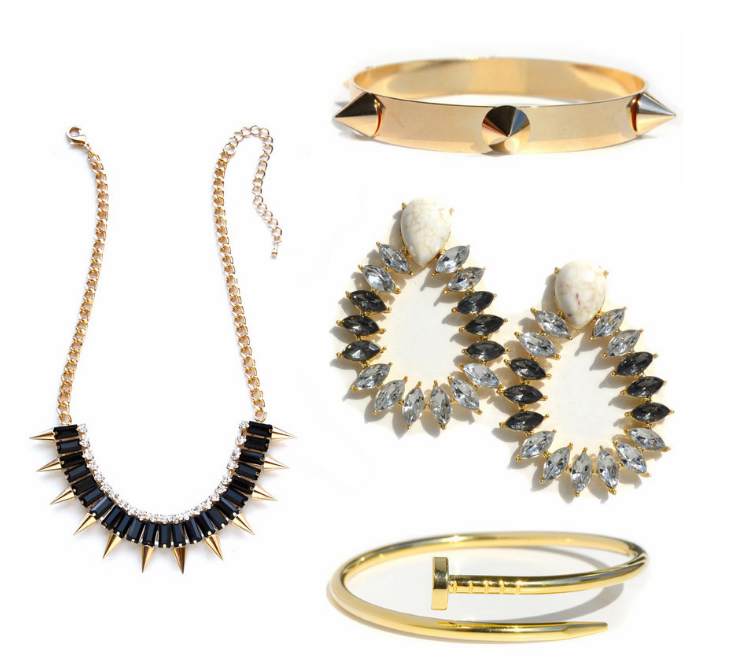 Thanks for introducing me to this jewelry site…there are so many amazing pieces!! sorry, i forgot to leave an email! Love your blog and JewelIQ! Liked them both on FB. i liked your page and jeweliq. Done and done! Liked both fb pages and I’m already in love with jewel iq! I like both on FB via bedknobsandbaubles! 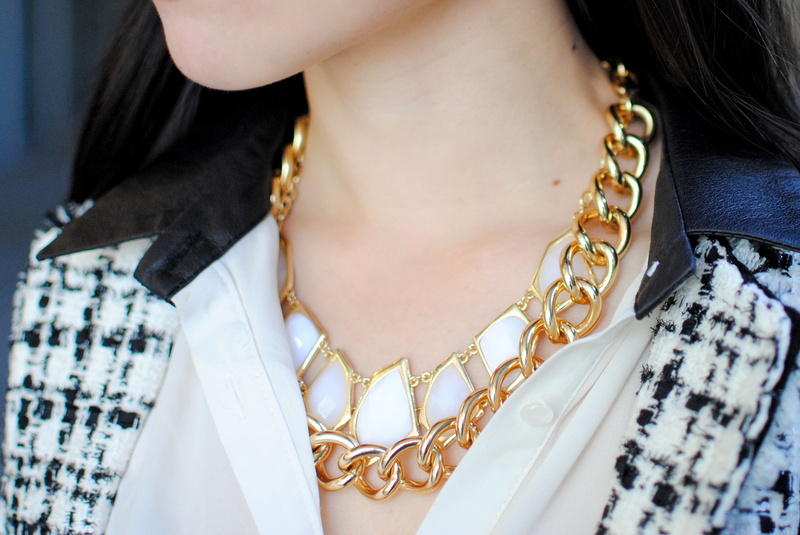 That “Pretty in Spikes” necklace is divine! Done and done. Great giveaway! I just ‘liked’ both on Facebook 🙂 Always look forward to your new posts and instagrams! Totally in love with Jeweliq! Oh, those are fantastic. I liked both on Facebook. Great pieces that are perfect for fall! Thanks for hosting such an amazing giveaway! I’ve followed both on Facebook. Liked both! Excited about the gorgeous jewellery pieces. I liked both Jewliq and your facebook! Love your style, btw. I liked you and Jewliq on facebook :D! Your picks from Jewliq are stunning by the way :). I liked you both on FB! I love all of your picks! I liked JEWELIQ and Her Waise Choice on facebook! My email address is: christalkh51@gmail.com. I love this giveaway! Their jewelry is awesome – I may need to make a purchase regardless! I like you both! Such cute jewelry! Thank you for the giveaway and for not making us jump through leaps and hoops to win this giveaway. I have liked you and Jeweliq on FB and now I am keeping my fingers crossed. I am loving the bracelet with the tortoiseshell link! My email address is priya.ariya@gmail.com. I liked you both! My email is peonyriver[AT]gmail[DOT]com 🙂 Thanks! OK..FOLLOWED BOTH ..CAN’T WAIT TO GET MY HANDS ON THESE GOODIES! THE EARRINGS ARE AMAZING! I have been following you for a while. I love your pairing and bought some pieces after reading your blog. Thanks for sharing. I love this giveaway, all those pieces are amazing! I liked both pages on facebook! Hi Jen! I love jewelry! Thanks for the giveaway! I liked both on Facebook. Yippee!! Fab giveaway, Jen. JewelIQ offers so many amazingly gorgeous pieces at a stellar price point! Count me in on this giveaway. Crossing fingers and toes. Gorgeous jewelry! I’ve liked both pages on Facebook. I absolutely LOVE your blog. Thanks for the giveaway! I liked both on facebook. Love your blog. Love their jewelry! So gorgeous! liked you and liked Jeweliq on facebook! thanks for the chance to win such a lovely giveaway! Love your blog! I liked yours and Jeweliq’s FB pages. Darn, I forgot my email haha. It’s lil.bubble.fish@gmail.com. Liked both of you on FB. Thanks for the giveaway! I “Like” you & Jeweliq on FB. Thanks for hosting this giveaway! I liked JEWELIQ and her waise choice on Facebook! I liked both pages, thanks for the giveaway! Wow, the minute I saw you post a picture of this giveaway on Instagram I knew I had to do it! I liked both pages, and I would pick the beautiful statement necklace if I won. Hope you’re having a great weekend, Jen! Liked both on facebook! Absolutely loveee that necklace! I liked both on Facebook. If there was an option, I would “love” your blog! Thank you for this giveaway! Looove Jeweliq’s pieces. Like JEWELIQ and herwaisechoice on Facebook… thanks again for the great giveaway.. I clicked “like” (although I LOVE) both pages!